Linux kernel manages all RAM memory in your computer. Unused memory goes into a special buffering pool, where the kernel caches all recently used data. If a process attempts to read a file and the kernel already has the file cached, reading it is as fast as reading RAM. Filesystem-heavy task, such as compiling source code, processing video files, etc. benefit from as much free memory as possible in buffering pool. It is not uncommon today to see users with powerful systems running tiling window managers in only a few megabytes of memory. Also, with the personal computer market in decline, people tend to keep their computers longer. In this article I continue the measurements started in part 1 and part 2 of this series. 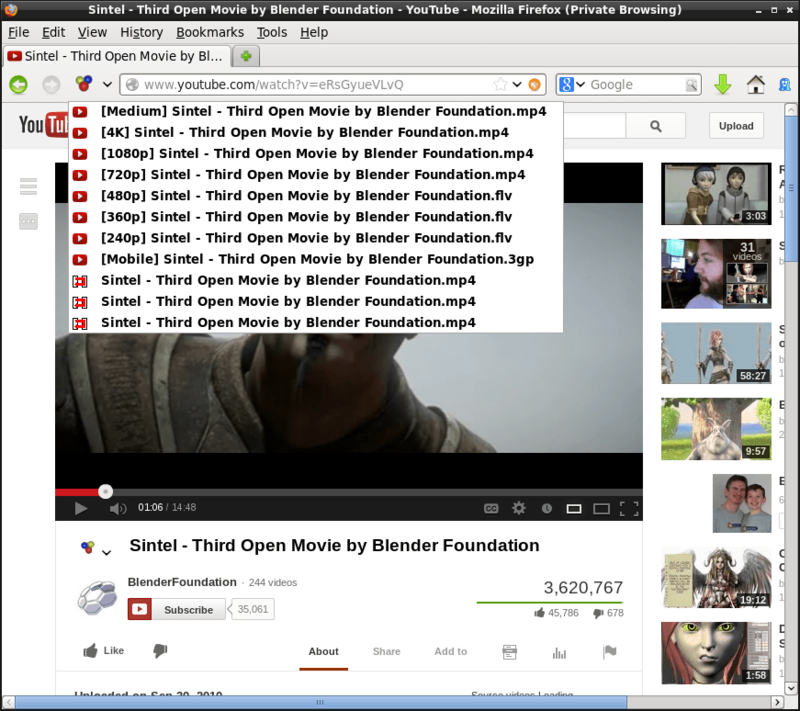 This entry was posted in Linux and tagged Desktop on February 15, 2014 by netblue30. Home, Trash and Web icons used to be enabled by default on most Linux desktops – not anymore! I am often asked to add them back when I install Linux for some other people. They are part of the workflow, and I am not interested in changing workflows. I am simply interested in moving the user from Windows to Linux. This article describes how I do it for various Linux desktops. /usr/share/applications stores desktop files for all installed GUI applications. Copy firefox.desktop file in ~/Desktop folder. If you want to change the name appearing under the icon, edit Name= line in the file. This entry was posted in Linux and tagged Desktop, Firefox, LXDE on July 18, 2013 by netblue30. This is a short tutorial on how to burn YouTube videos on a DVD. It might come in handy if you want to watch them on a big TV, or if you want to send them to friends. Or maybe you published them on YouTube for your small business, and you need to send a copy to a client. There are basically three steps: downloading, converting the video to MPEG format, and building the DVD image. All these steps can be accomplished in Linux with free open-source programs. An easy way to download is to use Video DownloadHelper Firefox extension. It is just a matter of starting the video in YouTube and saving it – always choose the highest quality version available when saving. This entry was posted in Linux and tagged Desktop, Firefox on May 19, 2013 by netblue30. I think it would be interesting to share with you the click-trough stats for my WM/DE memory articles, as reported by wordpress.com. This is not a poll by any stretch of the imagination. This entry was posted in Linux and tagged Desktop on April 18, 2013 by netblue30. In my previous article I’ve tried to investigate the RAM memory requirements for running some of the most common light window managers and desktop environments available in the Linux world. Prompted by several readers, I’ve decided to include also the big, well-known memory hogs that grab most of the Linux market, i.e. KDE, Unity and Gnome. I am using the same setup, based on virtenv. It includes its own xserver (Xephyr) and a virtualization container (LXC). The computer is an older 64-bit machine, running Ubuntu 12.04 with LXDE as desktop environment. This entry was posted in Linux and tagged Desktop on April 9, 2013 by netblue30. After I install a new version of Linux, I usually take a good look at the screen. Does it have a task bar? Can I find my window after it was minimized? The direction some desktops are going is not clear. Making it easier for current users or for the people coming from Windows or Mac is not a goal anymore. User complains are dismissed, chalking it up to the fact that people don’t like change. Fortunately, in Linux we have plenty of other choices, and we do like change. We have no need to keep using desktops we don’t like. I will describe some of choices in this article, and I’ll attempt to measure the RAM memory requirements. I use free command in an xterm before and after the graphic environment is started on a separate X server (Xephyr). free command prints on the screen data made available by Linux kernel. 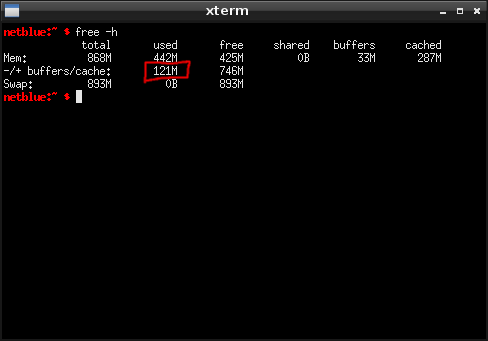 The kernel knows at any moment how much memory is using and how many buffers are available. This entry was posted in Linux and tagged Desktop on March 17, 2013 by netblue30. For a regular web page such as slashdot.org, Firefox needs to resolve more than 40 domain names. Each domain name is resolved twice, once for an IPv4 address and once for an IPv6 address. This results in lots of DNS requests, slowing down your web access. If you are like 99.999% of the population without IPv6 access, translating domain names in IPv6 addresses is useless. To disable this functionality, type about:config into the address bar. Type ipv6 into the search bar and toggle network.dns.disableIPv6 to true. The extension will cut down most, if not all, advertisements and annoying banners. The extension removes “invisible” trackers, web bugs, pixels, and beacons placed on web pages by Facebook, Google Analytics, and over 1,000 other ad networks. This entry was posted in Networking and tagged Desktop, DNS, Firefox on November 5, 2012 by netblue30.